As we’re almost a month away from the release of the SNES Classic Mini in Europe, more details about the plug-and-play system are starting to be revealed. Here are some specifications about the system which were previously unannounced. 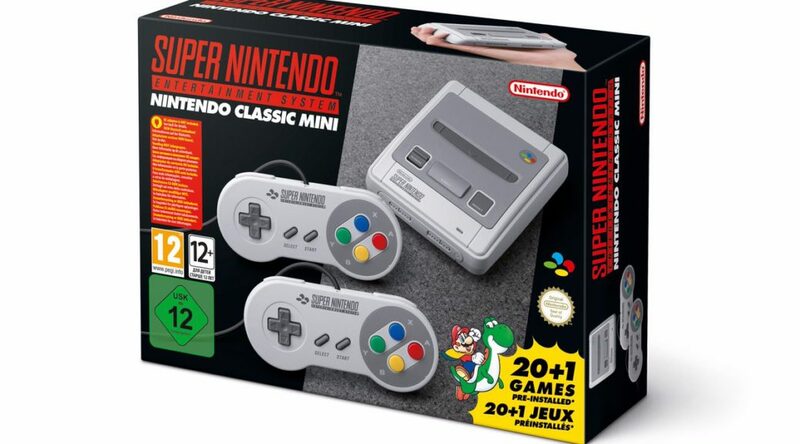 The specs apply to both the SNES Classic Mini in Europe and Super Famicom Classic Mini in Japan. Certain information such as system and controller dimensions may not apply to the SNES Classic Edition that is releasing in North America. There are a couple of interesting details we can glean from this information. The controller is pretty much the same size as the original SNES controller, and the cable length is double than that of the NES Classic Mini’s controller cable. Other than that, everything else (image output, audio output, ports) is pretty much the same as the NES Classic Mini. The SNES Classic Mini launches in Europe on September 29, 2017.